Regardless of the type of car you drive, your transmission is an integral part of the engine. Like the rest of the major systems in your vehicle, it will need regular service and maintenance to stay in the best shape. Without it, you might find yourself stranded on the roads near Denville NJ and in need of an expensive transmission repair, or worse, a replacement. 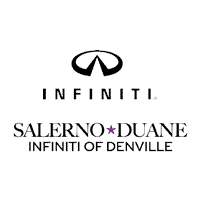 At Salerno Duane INFINITI, we have your best interest in mind. So we’ve compiled a list of simple things you can do to ensure your transmission is in the best shape. Being an attentive driver and car owner can go a long way to keeping your vehicle in the best shape. By being aware of the common signs of transmission failure, such as grinding, strange noises, or difficulty shifting gears, it can help you know when it’s time to bring your car in to Salerno Duane INFINITI. Of course, most major problems can be avoided with regularly scheduled maintenance. No matter how tempting it might be to look on YouTube for videos on how to take care of your transmission yourself, it’s best to bring it in to the service center at Salerno Duane INFINITI. Our specially trained service technicians are trained to look for symptoms of major problems, and will be able to let you know if there’s something that needs to be addressed. With our convenient service hours and friendly staff, getting your regular maintenance done is a breeze. If you notice any of the warning signs, you might have a leak in your transmission. Transmission fluid is what sends power from the engine to the wheels, so having the correct level is crucial to engine and transmission health. You can easily check for a transmission leak by leaving a large piece of cardboard under your vehicle and looking for a reddish fluid. If you notice this, you should drive over to Salerno Duane INFINITI in East Denville immediately. If transmission fluid levels are low, or the fluid itself is dirty or old, you’ll need to get a transmission flush to bring it back to its best health. Keeping enough clean transmission fluid is vital to preserving the integrity of your transmission and for maintaining the health of your engine. If you notice that your car isn’t driving as well as it usually does, you should bring it to the service center and let us take a look. A healthy transmission is key to overall vehicle health. Without it, your car can’t function properly and you’re looking at a very hefty repair bill. It’s much cheaper and easier to get your transmission repaired than it is to get it replaced. And regular maintenance is even easier. With easy online scheduling and service pricing on our website, it’s easier than ever to get your service done at Salerno Duane INFINITI. You’ll be well taken care of with us.